Enawo continues to strengthen into a dangerous tropical cyclone as it nears landfall in northern Madagascar, posing a risk to lives and property this week. 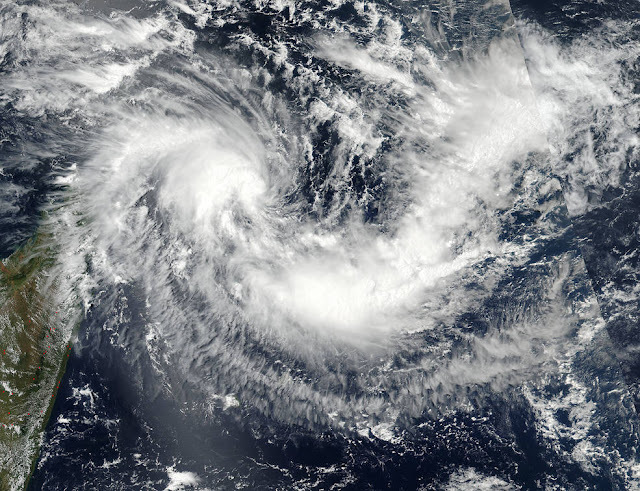 As Enawo strengthens through the beginning of the week, Madagascar residents should make necessary precautions as impacts from the dangerous cyclone will begin to be felt as early as Monday in northeastern parts of the country. Enawo is currently as strong as a Category 1 hurricane in the Atlantic or eastern Pacific oceans. Rain, wind and seas will build around Enawo’s center as it intensifies, posing dangers to shipping interests. AccuWeather meteorologists expect additional strengthening as Enawo turns towards northeastern Madagascar early this week. Enawo is expected to strengthen into an intense tropical cyclone (the equivalent of a major hurricane) before making landfall on Monday night or Tuesday, local time. "It is becoming evident that northeastern Madagascar will experience increasing winds and heavy rainfall from Monday into Tuesday," AccuWeather Senior Meteorologist Jason Nicholls said. The worst impacts are expected to be felt from Tuesday into Wednesday, when landfall is expected.